By utilizing customer experience mapping, everyone in your organization will understand the goals for the overall customer experience. 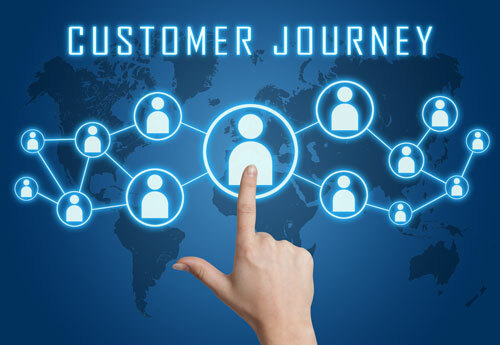 Call it Customer Experience Mapping, Journey Mapping, Customer Touchpoints—the thing to understand is that the companies that use these practices recognize higher levels of customer satisfaction and customer loyalty. The reason for this is relatively simple: It Leaves Nothing to Chance. By mapping the ideal customer experience, it sets a clear expectation and consistency for the customer interactions. During the mapping process, many companies also find holes in their systems, outdated or irrelevant processes, or policies that make doing business with them actually more difficult, rather than easier, for the customer. This is the perfect opportunity to address those issues or shortcomings, eliminate, improve, or enhance them, and create an even better experience. The companies that take the time to do this understand that while we all might have a great idea in our heads on what we’d like the customer to experience when they choose to do business with us, unless you have it well planned out, it’s unlikely to happen. 1. Customer calls in and phone is answered within 2 rings with a genuine, warm, friendly greeting. 2. The call is then transferred to a a billing representative who will answer without the call going into voice mail. 3. The billing representative will be able to look into the history of the records and identify core issue. 4. The billing representative will be able to make any adjustments or corrections as necessary to resolve issue during that call, eliminating the need for a 2nd customer call. Once this is done, then management needs to determine what is necessary to make each of these steps happen. For instance, Step 1 requires a live person answer the phone within 2 rings. If you have an auto attendant answering the phone, take steps to eliminate it. Hire a phone receptionist or reorganize staff responsibilities in order to have a live person answer the phone within 2 rings. If something isn’t possible to implement right now, determine what would need to change in order to make it happen and make all future decisions in line with that goal. The great companies like Disney, Nordstrom, and Ritz-Carlton all do this regularly. The great experiences they are famous for don’t just “happen,” they are created. They are mapped out every step of the way with clear direction, regardless of current capabilities. To ensure cohesiveness across your company or small business, share these ideal customer experiences. By sharing the ideal experience to be delivered, everyone in your organization will understand the goals for the overall customer experience. The question most folks ask is regarding Step 4. The first thing they tell me is that their staff aren’t able to fix a lot of the issues on the first call. My question is – Why not train them to be able to? How much better of an experience would it be for everyone, customer and staff included, to be able to take care of the issue on the first call? The staff will feel more empowered to do their jobs and the customer will be delighted with less of a hassle than they anticipated. Kristina Evey is improving the way companies connect with their customers, she is an accomplished speaker and trainer on Customer Satisfaction and Retention.